REMOVED FROM SALE. NOW RE-LET. THIS PROPERTY IS NOW RE-LET AND IS REMOVED FROM SALE. THANK YOU FOR LOOKING. Author DinkumPosted on July 5, 2018 Leave a comment on REMOVED FROM SALE. NOW RE-LET. A few larger pictures selected. Author DinkumPosted on May 7, 2018 May 31, 2018 Tags barbers for sale stoke-on-trent, business opportunity stoke-on-trent, dentist potential property for sale, dentist stoke-on-trent, hairdressers for sale stoke-on-trent, holistic therapy stoke-on-trent, shop for sale dresden, shop for sale stoke-on-trent, sports physio stoke-on-trent, veterinary stoke-on-trentLeave a comment on A few larger pictures selected. Gallery. Shop and 1 bed Flat. Author DinkumPosted on May 1, 2018 May 31, 2018 Leave a comment on Gallery. Shop and 1 bed Flat. 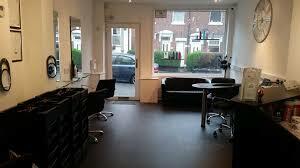 The Ground Floor Commercial section.The Salon. The premises stands in a row of mixed commerce including a curry house, a tattoo parlour and a celebrated Rare Steakhouse. The ground floor has always been a commercial venture in one form or another and the flat above is of course residential. They have there own services and own private access. Dresden is , in part a conservation area with a lot of history and character. Now Repainted Frontage in a tasteful Grey. The main window and door are UPVC double glazed. Both the signs have been recently re-prepared to take your signage. A main horizontal full with panel and a projecting (unlit) location sign above). Currently, the ground floor has a high definition ,four camera CCTV system with a 1 terabyte hard drive recorder and is accessible to your mobile phone via an Orpheus app which is readily available. External front of shop cam. View towards front door. The alarm system is accessed on entering. Gas and electric meter boxes can be seen either side of the door. The reception sofa is in front of the main window with a glass topped magazine table to one side. A radiator from the modern, efficient, gas fired central heating system is beneath the window. An electric power service “rail” runs along this wall for flexible positioning of sockets to suit your requirements. On this side of the salon, currently also stands the nail treatments desk, usually with a seat either side for beautician and customer. The booking desk, till and display shelves lay between the nail desk and the hair washing station. With a CCTV cam above. Finally in the rear corner, lays the hair washing station which is plumbed in with temperature controlled spray and waste plumbing. An area to hang coats. The two front cutting stations. If you wanted to start your own rent-a-chair hairdressing business or Barbers, this would be an excellent opportunity. Perhaps you want to get on the housing ladder at the same time and live over the “shop.” The layout , I believe, is adaptable with correct approvals, for a Dentist perhaps or a veterinary practice. A sports therapist or natural therapist would also find these premises user friendly. Washroom and WC. “Kitchen” or prep area for salon. The exit door to the yard is on the right in this view to the salon. Beyond the “kitchen” area , off the corridor linking the salon to the treatment room at the rear, is the washroom and WC. An extractor fan is fitted. The combi boiler room is adjacent. Boiler room has a folding door. High end, INTERGAS combi fitted. Full Service history and current Landlord gas certificates available. View out of treatment room. This room is totally private and formerly used for waxing and spray tan room. It could be possibly used as a Dental , Veterinary, Sports Physio or Natural Therapy treatment room? Fire escape door treatment room. Note the extractor fan in the corner. There is a power socket rail in the treatment room too. Vinyl flooring is used here and in the corridor. Power socket rail and shelf. Shadows are from a chandelier currently in use. High sloping ceiling and beam. NOTE : to see the Flat, the EPC, the local area and other posts, please click through each “previous” post shown below to move on to the relevant sections. If you have difficulty accessing this Blog why not call me and arrange a viewing.There is also a “view all posts” button to click. Author DinkumPosted on April 30, 2018 May 31, 2018 Tags affordable business stoke-on-trent, barbers, beauty salon and flat, first time buyer business opportunity, hairdressers, natural therapy business opportunity, rent a chair salon, shop and flat, sports physio opportunity, start up as veterinary, startup as dentistLeave a comment on The Ground Floor Commercial section.The Salon. There is access to the flat from the rear of the shop, either from a pathway from Russel Street or from the rear kitchen door to the shop. The flat is on the first floor via a recently renewed galvanised metal stairway. Entrance is via a double glazed UPVC door into the combined kitchen/sitting room. Note. The red tub chairs have been replaced with a sofa bed. The kitchen/sitting room is heated by a recently renewed gas wall heater. (Gas Safety Cert available) . There is an extractor fan above the electric hob and stove which vents outside the building keeping condensation to a minimum. A short corridor joins the kitchen to the bedroom and includes a useful storage cupboard.There is access to the loft in this corridor. The bedroom, currently furnished with a single bed can also house a double bed instead. A shower room ensuite , with wc., washbasin and wall cupboards and mirror is shown above next to the second ,recently fitted gas wall heater. The flat is to be sold furnished with the pine furniture shown. Currently tenanted and contracted until September 2018. An electric shower is above a decent sized ceramic shower tray, again recently refurbished. An electric instant hot water boiler provides the hot water to the washbasin in the ensuite and to the sink in the kitchen. The double glazed bedroom window looks out onto a view of The Princess Royal public house. The bedroom has fitted carpet and the kitchen/sitting room is half carpet and half vinyl flooring for cleanliness. NOTE There are carbon monoxide alarms in each room of this attractive bijou flat. Heat sensors are hard wire linked between the ground floor salon and the flat for tenants/owners safety. Currently the owners have full Landlord Accreditation and the Flat meets all the requirements for Keele University student accommodation. Currently our source of flat tenants for around a decade or so.